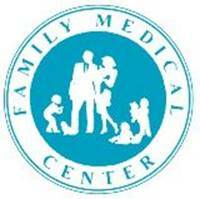 Family Medical Center, a privately owned, independent, and well-established five physicians, four physicians assistants, family practice group located close to downtown Orlando, Florida is searching for a seasoned Practice Administrator. This practice offers strong physician leadership as well as a solid management team committed to the delivery of quality care and service to our patients. Target hiring date is January 2019. This is an exciting opportunity for someone with a broad range of management, financial, and practice development skills to join a highly successful, high volume, innovative, values-driven group, and one of the few remaining independent groups in the area. This position reports directly to the Board of Directors. The ideal candidate will have 5-10 years experience in primary care management, a minimum of a bachelor’s degree in Business or Healthcare Administration, with preference given to those candidates with an MBA or MHA. We require a commitment to long-term leadership. Highly competitive salary and benefits, commensurate with background and experience. The ideal candidate will exhibit a strong background in financial leadership and human resource management and will have the ability to lead and implement change, develop new revenue enhancement strategies, and maintain effective operational processes. Experience in a practice that also included multiple ancillary lines of business, such as a full-service laboratory, X-ray, and in-house pharmacy will also be helpful. Must possess strong interpersonal, analytical and communication skills. You may also submit your resume electronically to PJohnson@FamilyMC.com.